After hearing the news of her passing I’ve let this sit a while to give the grieving family some time. Linda Rae Blair joins me today to tell us a bit about herself and a lot about her books. Welcome Linda, glad you’re here to shed some light on what we all want t know. Who are you and why? But first, let’s see you. You have a lovely smile and look like you enjoy life, I’m right, or not? What you have a real bio prepared for us? Great! Bring it on, we’re here because we want to know more about you. Raleigh artist, Linda Rae Blair was born and raised in St. Louis, Missouri. She has used her knowledge gained during extensive travel throughout the United States and her passion for art, history, mysteries, and scenery to create compact novels with rich characters so real you’ll miss them when they’re gone and places you’ll swear you’ve been. She has lived in Seattle, WA, Monterey Bay, CA, Cincinnati, OH, and retired five years ago in the Raleigh, NC area. Her love of history is well-earned. She is a direct descendant of John Alden and Priscilla Mullins of Mayflower fame. She is also descended from a strong line of Scots-Irish immigrants to America in the 1700s. She even had a great uncle who was robbed by the infamous outlaw Belle Starr. Her Scottish love story, “Elusive”, spans 200 years of Scottish history and intrigue via setting in 1700s Scotland and early 1900s Paris and Scotland. An avid reader who inhales novels by Nora Roberts, Sandra Brown and others in the romance/mystery genres, her imagination takes you to a variety of places and times all in the same story. Her travels to the beautiful southwestern states inspired her more modern historic romance combined with mystery, “100 Years of Brotherly Love”. which now claims over 50,000 downloads and, most recently, the softcover print version of the series in compilation form. which now claims over 50,000 downloads and, most recently, the softcover print version of the series in compilation form. Ms. Blair has spent many happy hours in Virginia Beach during off-season, when the winds blow cold and hard and the salty air whips at the weather-protected palms. This is the locale chosen for her Preston Andrews series. Locals and visitors alike find many familiar frames of reference in this series. 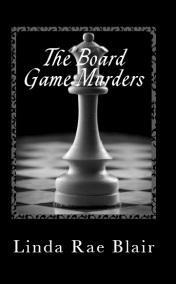 Her homage to her love for Poirot is via her teeny tiny mystery, “The Board Game Murders”. Her newest series is aimed at a slightly younger and more female audience from that of The Preston Andrews series but begins in the backstory in “Pressing Reunion”.. The Samantha Hartley, PI series is lighter and features a very young and not terribly experienced private investigator just beginning her career—with a slight assist from the Director of the FBI. One thing is for certain, she combines her passions into stories interesting to history buffs, travelers, and lovers of romance and mystery. Miss Blair is also an artist. 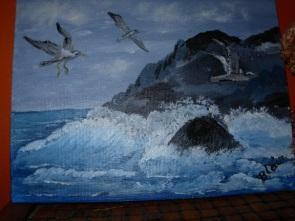 Until the writing bug hit her, she was certain she’d spend much of her retirement painting landscapes and seascapes. 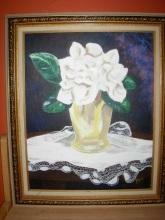 Once she started writing, her paint brushes have all but gone dry. Those are beautiful paintings and what you’ve revealed to us was very interesting. You, my dear Linda, have a heritage most people would envy you and a writing career I applaud. Let’s get the interview going and find out about your writing and book. Can you tell me how you celebrate finally getting that tricky chapter (or para) right? I keep on writing…if I’m on a roll, why quit? Keep going until the voices can no longer be heard! Sometimes that another 15 minutes; sometimes it’s another 5 hours. Okay, sounds like you know how to party. But how do you work around those moments when the muse has gone and done a runner on you? They wouldn’t dare! If they even think about it, I do some editing on what I’ve already done until those characters start screaming at me again. Right, it looks like you have a winning formula there. Now, let’s first do a few of the yada yada questions before we move on to the fun. And by yada yada I do not mean boring, or in any other way stupid questions, but just the traditional ones. You know? The ones we secretly all want to know the answer to. First, what is the title of the book you would like to talk about? “100 Years of Brotherly Love” It’s a story of three men who took a blood oath of friendship at an early age, nearly killing one of their mothers when she found them all bleeding in her kitchen as her son proudly held up his daddy’s bowie knife. Boys! It is the saga of how their familial ties began with a Pony Express rider 100 years earlier and takes you into their old ages—through murder, arson, beatings, blackmail and other assorted threats to life and limb. You meet the women they fall in love with and see the life they build into their 70s. It’s available on Amazon (all international Amazon locations, also), Barnes & Noble, Sony, iTunes, Kobo, Smashwords, Google eBookstore and CreateSpace. I’m very proud of it, and it has been my favorite ever since I first published it. Did you have difficulty coming up with the title? Oh, my…this is quite a story. The original title was “Tiwa Valley Brothers in Blood”. I thought that was a reallllllly good title for a book about blood brothers from childhood growing into good, strong men in the American Southwest (New Mexico, specifically). I had a great cover, too! I thought it was beautiful. Nothing happened. 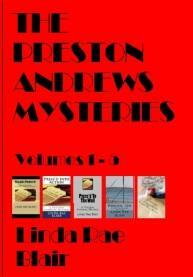 Now, I have a lot of fans from my mystery series, The Preston Andrews Mysteries, and I expected some kind of action on the new book. Nope, nothing! So, I changed the name, thinking folks thought it was a “Western” which is isn’t, really. It just happens to take place in New Mexico. So I called it “100 Years of Brotherly Love,” but still nothing. I’m not talking just a few—I mean ZERO! I thought, okay, maybe it’s the cover—still looks western. Shoot! Linda, I wouldn’t have known what to do. You aren’t only a great writer, but inventive as well. If you would have to change the genre in order to be able to publish it, what would it be then? i.e. would you conform to the market? Well, I can honestly say that I have moved that puppy around so much I can’t tell you what genre it’s under right now! How’s that for being flexible? Hahaha, you just have your own genre. Your books are under the Linda Rae Blair genre. Right with that out of the way and to confuse you we’ll take the alternative route now. What don’t you like about writing? I lost my editors. I’m lost without them. They went to Florida and neither of them offered to let me hide away in a suitcase. So here I am stuck without one. What writer wouldn’t be lost without a good editor they can trust? If you are still looking for a good one, I can suggest you hire mine. Next question. What do you do marketing wise and what do you think generates the most attention to your books? I do a lot of social media. 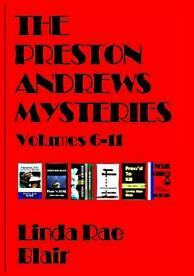 I have three writing Facebook pages: http://www.facebook.com/lindaraeblairauthorhttp://www.facebook.com/theprestonandrewsmysteries and http://www.facebook.com/mysteriesbyblair. 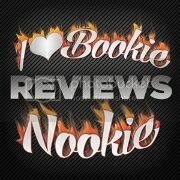 I also Tweet as @lrbauthor and use Hootsuite to post frequent Twitter promos over weekends when something new comes out. Also, I post in LinkedIn from time-to-time. Tell me, when you’re on a roll, the muse is in the house and happily guiding your pen, what would seriously drive her/him away? Health issues can make the voices fade. I recently went through a period where I spent most of my time doing author interviews for my website: http://lindaraeblairauthor.wordpress.com and for http://bookjunkiesjournal.com. Those I could work on as my health allowed without the creative flow being interrupted. What does your muse look like and does he/she ever play tricks on you? Muses (plural) are those voices in my writer’s brain. They pester my dreams, they invade my quiet and seriously distract me when driving. Ugh! Do you ever speak to your characters and do you get along all the time? No, I’ve sworn never to talk to them—someone might think I was nuts. Anyway, they’re way too busy talking to each other. Would you be able to come up with a credible excuse why you haven’t written a whole day? Remember, I have to believe it! Only my health or spending time with my grandchildren when they’re home on leave from the army. I do have SOME priorities. And finally why would you ever want to live life behind a keyboard slaving over a manuscript? Why not? I’m retired, I’m creative, I have voices in my head—short of taking pills, what should I do? Well, drat. I can’t talk about my 17 pound cat, Potter As in H-A-I-R-Y, or my 14 pound dog, Lanc-a-lot, of my kid, grandkids or great grandkids—what the heck else is there? Hummmmm I adore gardening, but I can’t do it anymore. 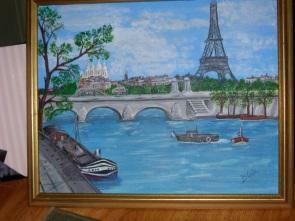 I used to paint (acrylics on canvas) but haven’t since I started writing. I love mysteries, read Nora Roberts, Sandra Brown, Janet Evanovich, Lisa Jackson and Patricia Cornwell until my eyes turn red. Other than that, I’m just a normal old lady writing about murder! Once I started, I couldnt put the book down. The writer takes a unique postion in the book itself by telling the story as a biographer of a seedy yet wealthy character living in New Mexico. She is able to take you places with minimalistic scenic discriptions that let the mind’s eye fill in the blanks with scenic vistas. Her dialogue is thoughtful as she tells a beutiful story of endurance for several generations. The writer continues to impress me with her ability to transport the reader to different places and times in the telling of the story. In the end, it fits together like a tight fitted jigsaw puzzle. I am looking forward to more books by this writer. This is the story of Trick, Chase and Blade. Bonded as blood brothers when they were five, this story traces important events in their lives. Told in three stories, from each of the brothers points of view, it gives a glimpse into the lives of a rancher, a half native american lawyer and a full native american veterinarian. The stories tell of heartbreak and triumph and of significant moments in their lives. It also gives a glimpse into the native american way of life and some of their customs. This was a fantastic story. Told from each of the brothers points of view, the descriptions of their lives and loves was rich and vivid. From the heartbreak of Trick’s ranch problems, and the fallout after, to the joy of confirmed bachelor Chase finally finding his soulmate again and marrying her. It was a story that kept me coming back, as I just HAD to find out what was happening next in the brothers lives! The pace was just right and I was sad when it ended, as I knew there would be no more! I totally recommend this, it is a fantastic book, rich in culture and vivid in description and portrayal. A young biographer has been offered the opportunity of a life time. She has been chosen to write the biography of a man whose wealth and reputation are the focus of media attacks and gossip magazines. Not sure why she has been chosen over more experience biographers with well-known reputations she takes the job. A job that will pull her deeper into the family than she has ever expected. Arriving at the home of her new employer, notes and background information in hand, she is ready to cajole, probe and trick (if she has to) all his secrets from him. Deep in the ranch lands of Arizona she expects to find a hard boiled rancher, businessman and former politician. What she finds instead is a warm, complex man with a story of three generations of New Mexico ranchers. From his great-grandfather’s time with the Pony Express and first founding of the ranch and dynasty, to the current generation patriarch, he takes her through a sweeping history of Arizona and its founding families. But this story is more a story of enduring friendships. Friendships that pass through three generations of men. Each bound to one another through ties of family, the land and male bonding. For 100 years these three families have worked, lived, played and suffered heartbreak and loss together. They have become more brothers than friends. This is not a western. It’s not about cowboys or cowgirls. It is about family and what makes the ties that binds us together as people. Well written with interesting characters and a story that is as compelling as it is complex “100 Years of Brotherly Love” will keep you turning the pages quickly. This is definitely a book that men will enjoy but women will like it too. The main protagonists throughout are mainly men. But the women that are part of the story are as strong and intelligent as the men. I really liked this book and will be reading more from this author.